Watch “Make It Up As You Go Along,” and read an interview with Tillmans about his recent work with Salem and Frank Ocean. 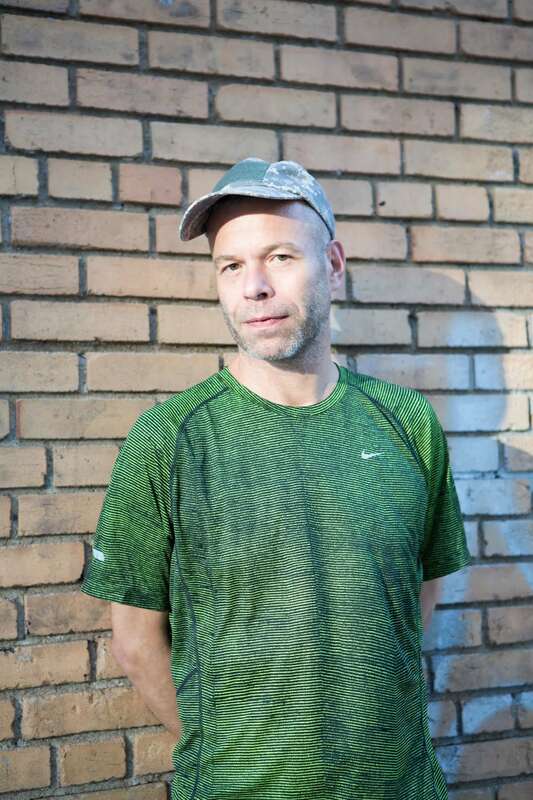 While he's been acknowledged and acclaimed in the art world for decades, Wolfgang Tillmans has broadened the scope of his audience this year. This June, his poster campaign around the E.U. Referendum reached Remain voters who may not have seen Tillmans’s photography exhibitions or monographs, and in the past week he has emerged as a key collaborator on Frank Ocean’s new projects. Tillmans’s track “Device Control” opens and closes Endless, and his portrait of Ocean features on the cover of Blond. Ocean is not the only elusive musician that Tillmans has collaborated with in recent times. His new EP, Device Control, includes the first new material in years from electronic artists Salem on a remix of his track “Make It Up As You Go Along.” In their hands, the original song is barely recognisable beneath dank bass, gunfire-like percussives, sirens, and screams. Tillmans describes the sonics of the remix as creating “a magic draw and pull. Beneath the wall of sound and implied violence is a deep longing.” Tillmans filmed the darkly abstract waveforms for the video, premiered above, at New York’s Fire Island this summer. Tillmans spoke with The FADER via email about the remix, his time spent in the American South with Jack Donoghue and John Holland, and his “crazy couple of days” since Frank Ocean’s double drop. What first drew you to the music of Salem? My friend, the German sculptor Isa Genzken, said to me in 1993, when she bought a small print of my piece Alex & Lutz, looking at crotch in my first exhibition: "You know why I like this one? Because one has to drive things auf die Spitze" [“to the summit, to the pinnacle point”]. There is a pleasure in art to formulate a nonsensical idea in its most clear way, which then totally makes sense. I felt, and still feel, that pleasure when I hear “King Night” and other Salem tracks. You think it can’t become more dense, more absurd, you can’t fit more frequencies and emotions into this audio space...And that’s where I sympathize with them. I’m enormously proud that they delivered that quality on their remix of “Make It Up As You Go Along.” The original is blasted away except for the melancholic harmony running throughout, and everything else is replaced by a wall of intense sounds which they felt inspired to use by their time in the rural South. It’s kind of perplexing, given that it sounds as much like inner city meltdown in U.S.A. 2016. 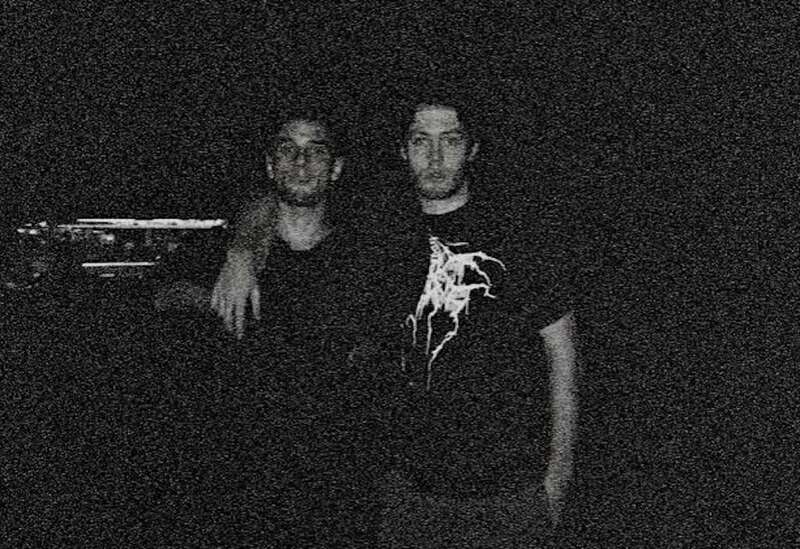 In a recent Pitchfork interview, you mentioned visiting John and Jack from Salem in Montague, Louisiana. What was that time like? They were living in a simple wooden house on an endless rural street alongside a river, on which the occasional shrimp fishing boat would pass by. On the porch was an insane swarm of bee-like non stinging insects that had their hive somewhere near. It was bizarre sitting there drinking a beer and being surrounded by a hundred bees. We only listened to music when driving. I guess that is the quintessential American experience outside of New York: endless driving. That’s where their new music was most powerful. They had gone through some problems in the last few years and didn’t find it easy to continue after the wave of excitement they initially created. They are finally confident to keep the best of their original sound and reconnect with where we are now. How did you make the video for the remix? I spent this summer living and working in a house on Fire Island, a 40-mile-long strip of sand off the coast of Long Island. For this video I filmed the surf on the beach on a distinctly uneventful day. Not particularly high or still waves. The movement of the ocean is so totally beyond our control. It is forever larger than us. It cannot really be grasped, and can be perceived as scary or comforting. By slowing the film down the seawater gets the illusion of different viscosity, more like oil. Were there any elements of the remix that you wanted to reflect in the video? I asked my editor Michael Amstad to reflect the sense of breakdown in Salem’s track and he developed the particular grading and colour, the sense of that things can so easily turn from one thing to another, just we experience in the world around us. Not wanting to be too symbolic, but it’s a bit like The State We’re In, which is the title of a huge seascape I exhibited at Maureen Paley around the time of Brexit this year. How did Frank Ocean come to use your song “Device Control” on Endless? Frank’s enthusiasm for the track lead him to switching from just using a 15 second sample of it as the intro, to putting the full seven minute original version at the end of Endless. This must have happened last minute, as the song is not even credited at the end. It is not a remix or a sampling, it is just seven minutes of my original track which was due to be released on Sept 16. As you can imagine, I was baffled, but I couldn’t have been more excited to find myself making up a sixth of the length of one of the biggest releases in music today. I could not have made it up. So my distributor WordandSound and I decided to immediately release the entire EP digitally, with the first 1000 copies of vinyl still being released as planned on Sept 16. Have you heard from Frank, since Endless was released? He called me the day it came out and said he didn’t mean to cause any problems by not telling me [about using my track] and that the rights issues would be sorted out this week. Later, he text messaged me the final choice of the Blond cover art, now with the dropped “e” from an earlier version he had sent me a couple of weeks ago. It’s been a crazy couple of days. I’ve been very cautious about my foray into music making. There have been so many good musicians making bad art and vice versa. I asked my close friends again and again “Can I do this? Is this good enough?” I guess I now have to accept that it maybe is. Buy Wolfgang Tillmans’s Device Control EP on iTunes here, or stream it on Spotify here.